Do your crops look this good? A Professional Agricultural Consulting Firm. The purpose of CropDocs is to provide superior service in a person to person setting in the areas of soil fertility, soil salinity remediation, irrigation water quality interpretation, precision fertilization recommendations in both conventional and organic crops, agronomics, plant pathology, environmental issues, soil science, and site or land-use planning. Justin Tuggle, Ph.D. provides service in all parts of the United States and internationally including Argentina, South Africa, and China. Justin Tuggle, Ph.D. is a private consultant with twenty years domestic and international experience in soil fertility, plant nutrition, plant pathology, agronomy, specialty crop production, environmental reclamation, economic analysis, and enterprise budgeting. Crops within Dr. Tuggle's experience include: corn, cotton, wheat, pecan, peanut, various vegetables, onion, grain sorghum, soybean, alfalfa, forage grasses, blueberry and bush crops, peaches, plumbs, truffles, various grasses, pepper, watermelon, cataloupe, squash, sugar cane, and oats. The goal of Dr. Tuggle is to provide economically viable solutions and improvements for the customer. Dr. Tuggle also provides consulting related to irrigation water quality related to crop production and has consulting experience in both conventional and organic production. 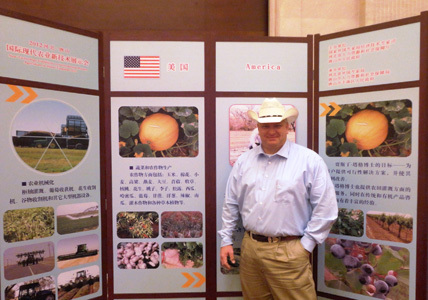 A Professional Agricultural Consulting Firm, Justin Tuggle, Ph.D.